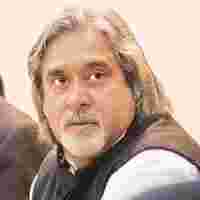 Vijay Mallya, the billionaire tycoon behind liquor major UB Group, has acquired a controlling stake in Epic Aircraft, a US-based aeroplane maker, for at least $120 million (Rs476.4 crore). The owner of Kingfisher Airlines announced the acquisition—which represents half of Epic and was made as a personal investment—at a press conference in Atlanta with Epic Aircraft chief executive Rick Schrameck. Mint had reported the possibility of a deal in a front page article on 3 September. Epic manufactures private and business jets with single and twin engines that carry six or seven people. A person who works closely with UB Group chairman Mallya, requesting anonymity, said Epic aircraft would likely be marketed to Indian companies and high net worth individuals. Mallya himself has been known for his jet-setting, flamboyant lifestyle. Though Mallya did not disclose the value of the deal, a UB Group official, who spoke on condition of anonymity, estimated it was $120 million, but declined further details. In a statement to the media, Schrameck said his company would gain access to strong customers and vendors across the world through Mallya. “Epic was really looking for a strategic partner, not just an investor," Schrameck said in a statement released to the media. “...we will immediately benefit from his relationships with a variety of companies, including Airbus and Pratt & Whitney." Kingfisher Airlines, after acquiring 26% stake in the country’s largest low-fare carrier Air Deccan, is the largest Indian customer of Airbus SAS. Pratt & Whitney makes and supplies engines to jet manufacturers such as Boeing & Co.
“In order to get airplanes of Epic Aircraft certified with US Federal Aviation Administration," said the person who works closely with Mallya, the Indian businessman will rely on the technical competence of Airbus. According to private and business plane makers, India will buy at least 500 planes in next five years. “Even at the conservative estimates, India will buy 200 private and business airplanes in next three years," said Nigel A. Harwood, chief executive of InterGlobe General Aviation, an authorized dealer for Hawker Beechcraft, another US-based maker of business jets. The statement also quoted Mallya as saying he was excited to be partnering with Epic Aircraft. “This strategic investment will pave the way for the company to embark on an unprecedented growth trajectory," Mallya said, according to a press release. It also said Epic is in the process of launching test flights for its latest products. Epic Aircraft had recently entered into the very light jet space, offering high-end business jets. According to recent statements from the company, it has secured orders for some $63 million worth of its aircraft at two recent shows in Florida and Wisconsin, where the company introduced the very light jets, the single-engined Victory and the twin-engined Elite. The aircraft are powered by engines from Williams International and Pratt & Whitney.